Members of the public are invited to join the Tobago Regional Health Authority (TRHA) in the formation of a “Human Red Ribbon” today, World AIDS Day, at the Shaw Park Cultural Complex from 7 am. The red ribbon is a powerful, visual representation of solidarity and support for individuals who are living with HIV/AIDS and their families, as well as to challenge stigma and discrimination surrounding AIDS. Participants are asked to wear red tops for a drone photography session, after which there will be a walk to Market Square in Scarborough, where an Advanced Medical Post will be set-up to offer HIV Testing, counselling and other health education sessions, from 9 am to 5 pm. Also today, the TRHA, partnering with the County Medical Officer of Health (CMOH), will set up a testing site at the Tobago Prison for Prison Officers and inmates can get health screening services, including HIV and TB testing and counselling. TRHA Acting General Manager, Primary Care Services, Dr Randy Thomas, applauded the willingness of the Prison Officers to participate in this activity. “It is heartening to see the Tobago Prison Officers leading by example and spreading the message of the importance of getting tested and knowing your status. I am confident that other organisations will follow in their footsteps because, as a nation, we have a collective responsibility to tackle stigmatisation and discrimination and to break down barriers surrounding health in general, and HIV/AIDs in particular,” said Dr Thomas. HIV testing will also be the focus at the Scarborough, Canaan and Roxborough Health Centres from 8 am to 4 pm today. Testing will continue from December 4-8 at the Scarborough Health Centre from 8 am to 8 pm, and at Canaan and Roxborough Health Centres from 88 am to 4 pm. Health lectures from the TRHA Dental, Nutrition and Mental Health Units will also be conducted at all three locations. Health Education sessions at the Outpatient Clinic of the Scarborough General Hospital on December 6, will also form part of World Aids Day activities. 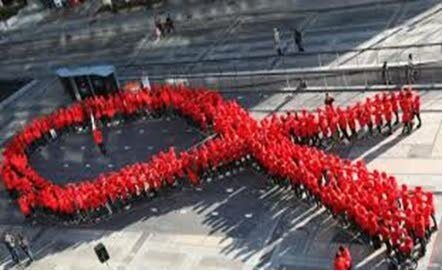 Reply to "“Human Red Ribbon” to mark World Aids Day today"